If want to look beautiful then you need to have a healthy, glowing and soft skin and you can get it easily by Using Vitamin E oil. Its a fact that You may have used different types of diet and different types of skin care products for a healthy shining skin. One important term which you would have come across while searching for healthy skin, is Vitamins. Yes, Vitamins play a vital role to promote skin health and if we talk about vitamin E, it is used in so many skin care treatments for all good reasons. Vitamin E is a powerful anti-oxidant which fights from free radicals causing skin damage. It has so many skin related benefits. So here are what Vitamin E benefits for your skin. 7 Best Aloe Vera Face Mask For Beautiful Skin. 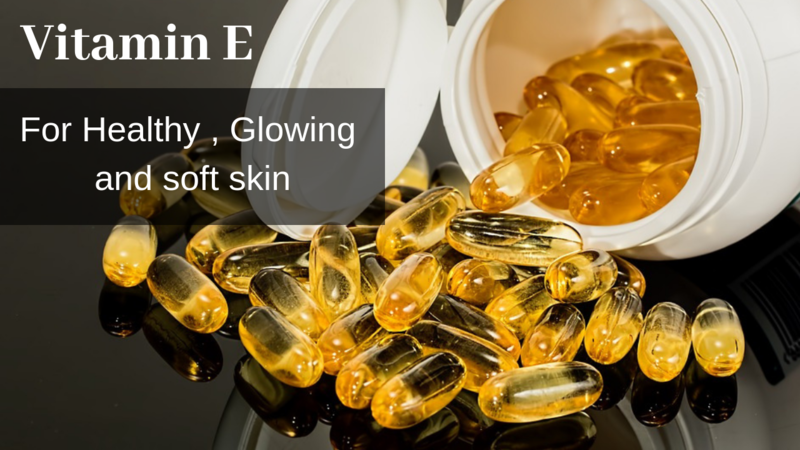 Here is how Vitamin E Can be used effectively against dark circles, acne, scars, spots and marks on your skin. So just read this post till last to know all skin related benefits with Vitamin E.
Skin nourishment is necessary for a healthy, glowing and good looking skin. Vitamin e has the properties to nourish your skin from deep inside if you apply vitamin e on your skin it keeps skin hydrated all the day. 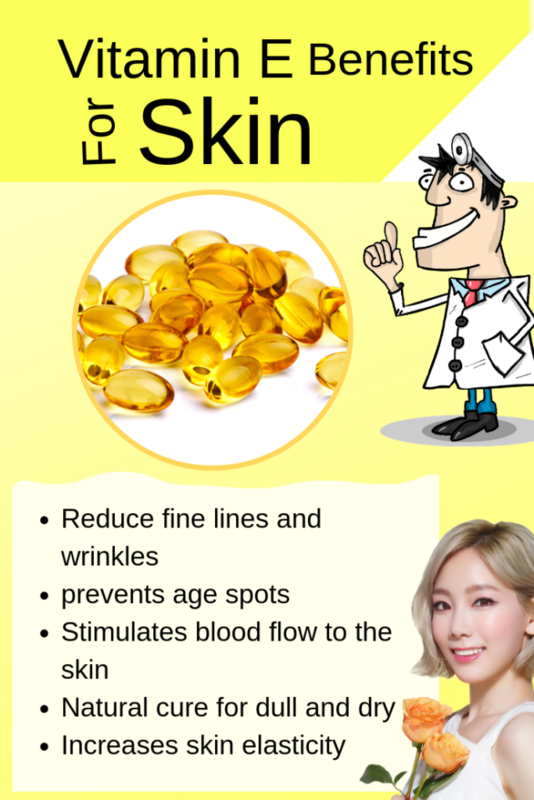 Here is this beautiful Infographics about the Vitamin e benefits for skin, if you like it please share it. Daily application of Vitamin E oil, on your skin regenerates skin cells. It has the ability to relax your skin. Hence Vitamin E is very beneficial to remove stretch marks and scars from your skin. Crack 1 vitamin E capsule and add it. Check this DIY video also for skin whitening and fair skin naturally. In this video there is a natural face pack made with turmeric and aloe Vera. Check my You Tube Channel Beautiful You also For more DIY beauty tips and latest mehndi designs. Although there is doubt weather Vitamin E is useful for acne or not. But it is very effective to lessen marks and spots caused by acne by regenerating new skin cells. Being a natural skin cleanser it makes your skin free from dust, dirt and excessive oil. Hence uses of Vitamin E, lowers the chances of acne breakout. Finally we can say that Vitamin is very useful to treat and control the acne. Hope you like this useful info, if you know more Vitamin E benefits please share it with me. For any query or suggestion please write me in the comment box. Please check my YouTube channel “Beautiful You” also to know more tips and tricks for a beautiful skin and a hair. Note: before using these DIY face masks check for any reaction by applying them on the back of your hand. Consult your doctor also. Vitamin c has a such great antioxidant property which keeps the skin soft, healthy and looking beautiful. I like this article so much. Thanks for sharing.